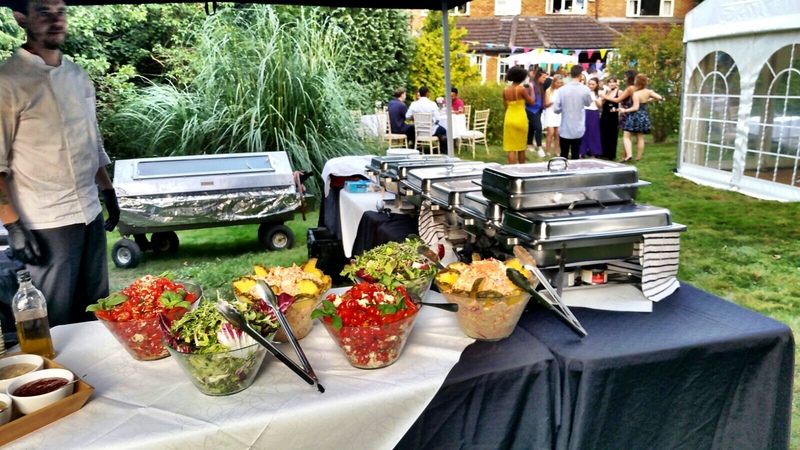 At Hog Roast Watford we have provided the local area with catering for hundreds of events – many from repeat customers. We have more than a decade in the industry, so we know what tastes good, looks good and won’t break the bank. Our menus are always being adapted to make sure this is the case. 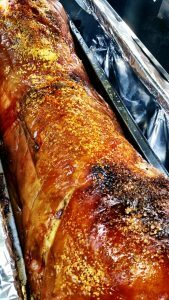 The experienced and professional Hog Roast Watford team always ensure we work our magic to guarantee every event we cater for is a huge success. We devise varied, mouth-watering menus to suit all tastes and occasions and for us, no detail is too small. We listen carefully to our clients’ requirements and work closely with event organisers to make sure the food is ready right on cue, with no delays or interruptions to the order of play. Planning a special occasion celebration can be a lot of fun but it can be stressful. Let us make sure that feeding your guests is as hassle free as possible. When it comes to organising a feast, we know exactly what we are doing. All you need to do is let us know what tasty morsels you want served up! Give us a call today and let’s get started planning exactly what you require and on what budget. The great thing about hog roasting is that it’s tasty and it goes a long way – feeding hundreds of guests if required. Our expert chefs will arrive early, to get everything set up; from the meats to the salads and side dishes. They bring the hog roast machine, the serving table, high quality plastic tableware and cutlery (all disposable to make clean-up quick and easy). All the food we serve is prepared fresh and made from the best local ingredients we can source. We have a wealth of menus to choose from. 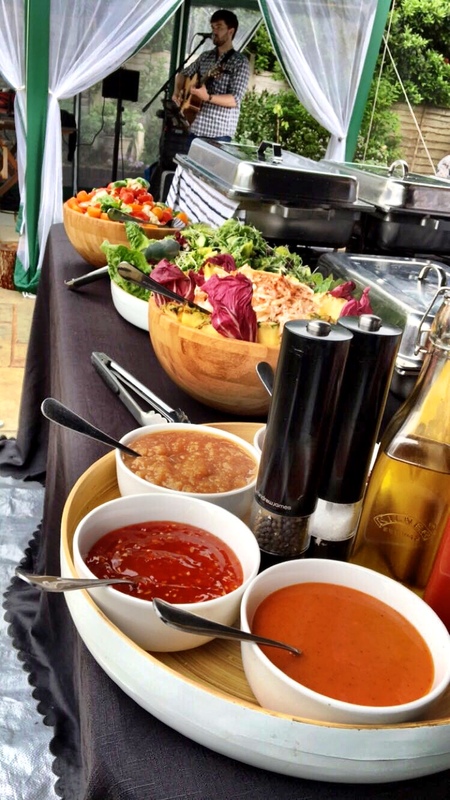 We can do finger foods, salads, canapes and desserts to match your theme and budget – from BBQ to gourmet. You can even have a Chinese or Indian themed buffet. As all of our ingredients are fresh and locally-sourced they are always prepared from scratch on-site by our expert caterers whilst the hog roast is cooking slowly and delicately throughout the day. Regardless of the size and nature of the event, Hog Roast Watford will always time everything to perfection. If we are catering in a beer garden for a pub full of football fans, our on-site chef will be carving the meat as the final whistle blows. 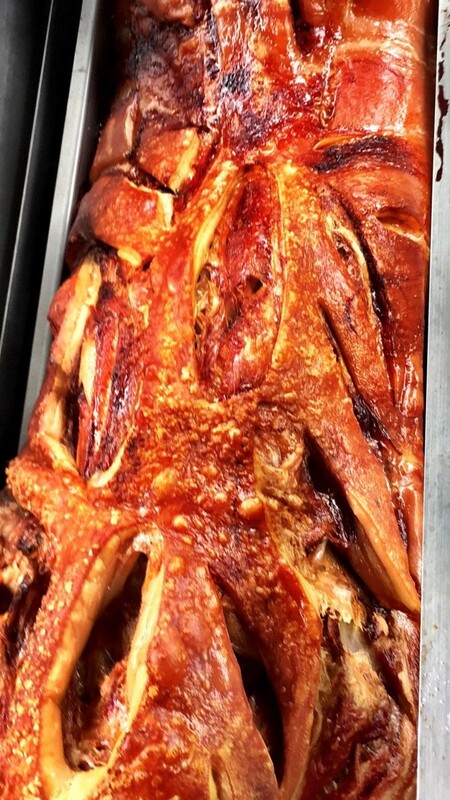 If we are providing a delicious hog roast buffet for the after-party of a local theatre production, our well-organised caterers will work discreetly and efficiently so as not to distract the audience from what is happening onstage and be ready to serve up the magnificent spread as the actors are taking their final bows. Whatever the occasion, one of our hog roasts will always be the perfect grand finale for any event. Wish to cook your meat yourself and leave the external staff out of it? No problem. We appreciate that if you are holding an intimate family gathering or get together with your friends, you don’t necessarily want staff at your party. That’s why we also offer hog roast machine hire. We will drop off a machine at your venue, show you how to use it, give you the cooking gas and meats, and then leave you to it in peace. Enjoy the drama of a hog roast without our team on site. Get in touch with us today so we can discuss your exact needs and desires. Whatever your event, whatever your guests taste and whatever your budget – we are here to help you satisfy your guests appetite and ensure your event catering goes smoothly. We promise you will not be disappointed. Copyright © 2019 Hog Roast Watford . All Rights Reserved.